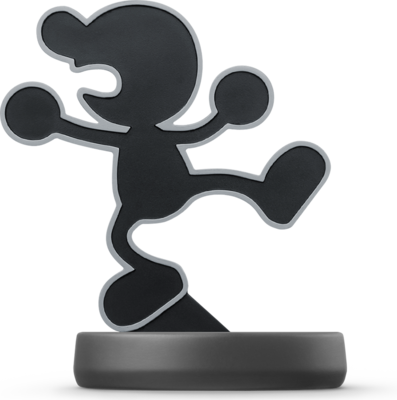 Mr. Game & Watch comes with four interchangeable poses. In North America, Mr. Game & Watch is only available as part of the Retro 3-Pack alongside R.O.B. (NES) and Duck Hunt. The Retro 3-Pack launched exclusively at retailer GameStop (US) / EB Games (Canada).